The TSC is *clock cycle* accurate but not *real time* accurate. It speeds up and slows down relative to real time with changes in CPU clock speed; such as what CPUs do on their own when system power state changes. No, that was true maybe 10+ years ago. All intel cpus since at least Nehalem (the first Core-i chips) should support these features (not entirely sure about AMD, probably since Bulldozer or thereabouts). The TSCs are also usually in-sync for all cpu cores (on single socket systems at least), albeit I've seen BIOSes screwing this up majorly (TSC reg is allowed to be written, but this will destroy the synchronization and it is impossible to (accurately) resync them between cores - unless your cpu supports tsc_adjust meaning you can write an offset reg instead of tsc directly), causing the linux kernel to drop tsc as a clock source even and using hpet instead (at least at that time the kernel made no attempt to resync the TSCs for different cores). FWIW I think the reason Ryzen Master (and some other software for OC) requires HPET is because, while the TSC frequency is invariant, it might not be as invariant as you'd like it to be when overclocking (though Ryzen Master has the HPET requirement fixed a while ago). 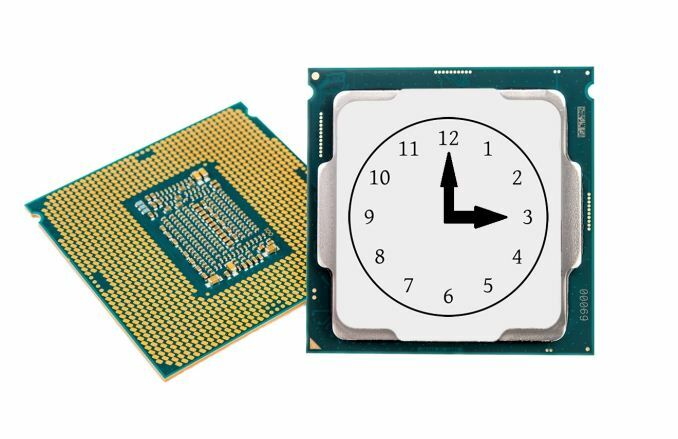 Ryzen PPR manual (https://support.amd.com/TechDocs/54945_PPR_Family_... says that the TSC invariant clock corresponds to P0 P-State - this would be cpu base clock. So then naturally from that follows if you were to change the base clock for overclocking, the TSC clock would change too, causing all sort of mayhem since likely the OS is going to rely on TSC being really invariant (as it's announced as such). "LockTscToCurrentP0: lock the TSC to the current P0 frequency. Read-write. Reset: 0. 0=The TSC will count at the P0 frequency. 1=The TSC frequency is locked to the current P0 frequency at the time this bit is set and remains fixed regardless of future changes to the P0 frequency." It's nothing todo with the accuracy of HPET, but the cost in reading HPET. no forcing HPET is a very unusual config, no modern OS has it as the default time on modern hardware. Not only is it slower but also things like msi-x require LAPIC to work. "forcing HPET is a very unusual config,"
"In short what anandtech did here is "very bad"."